It’s been awhile since I’ve posted a recipe, and all the sun-ripened berries are begging for that to change. My grandmother (Remember Nan?) 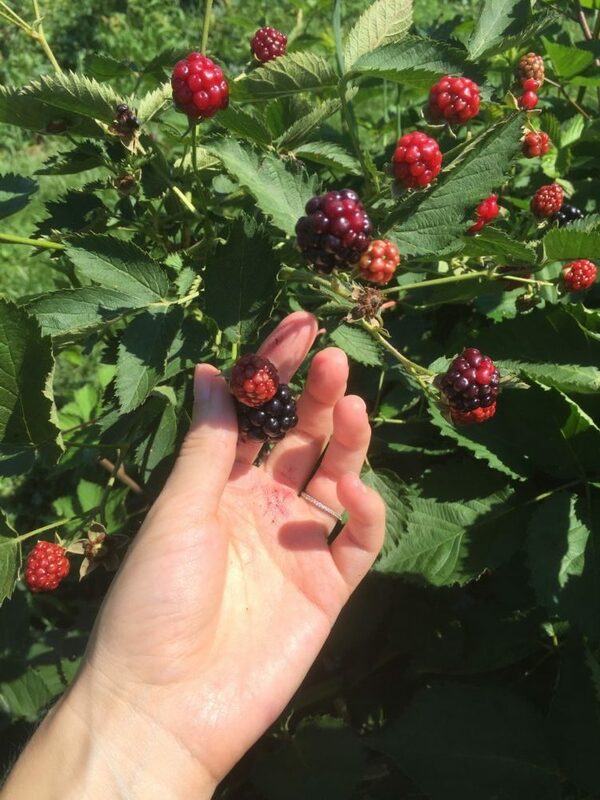 always insisted on “BBB” cobblers whenever blackberries were plentiful. No, it’s not some Better Business Bureau recipe–though this cobbler could sweeten any establishment. The question remains whether or not Nan made it up, but here “BBB” stands for: Butter, Batter, and Berries. It’s the ingredients and instructions for this simple recipe that is sure to rank high on your summer dessert list. 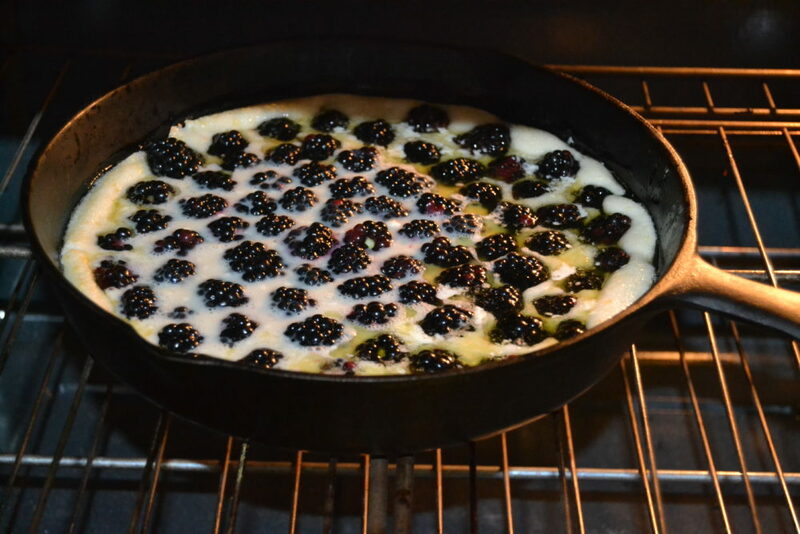 Start your BBB cobbler by placing a cast iron skillet with butter in the oven to heat and melt. 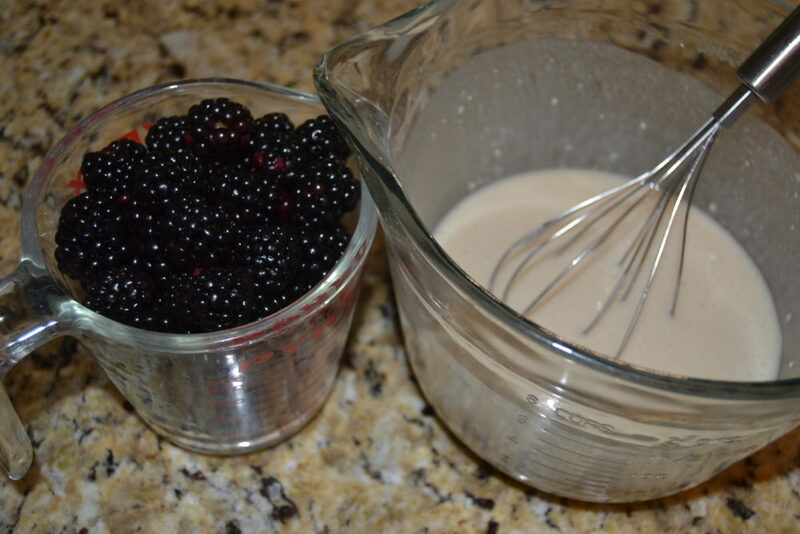 Prepare berries (any kind will do– we love blackberries) and batter per recipe instructions. 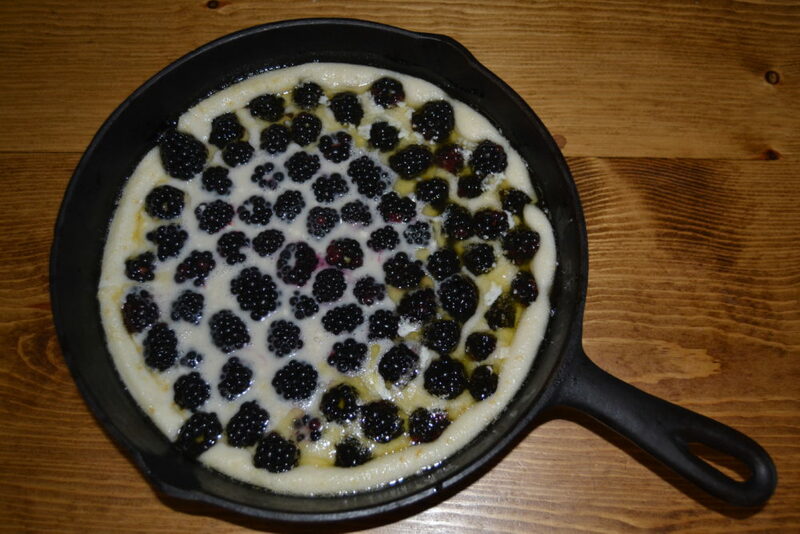 Layer the Butter, then the Batter, and lastly sprinkle in the Berries. Bake and enjoy with vanilla ice cream! Preheat oven to 350 degrees. 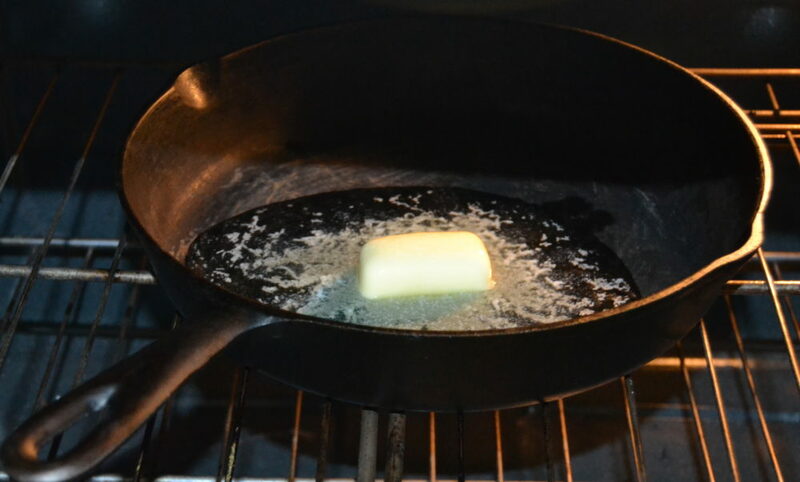 Heat cast-iron skillet (I used a 10″ skillet) and butter during preheat. Mix sugar, self-rising flour, milk, and vanilla to make the batter. Add batter to warm skillet of melted butter. 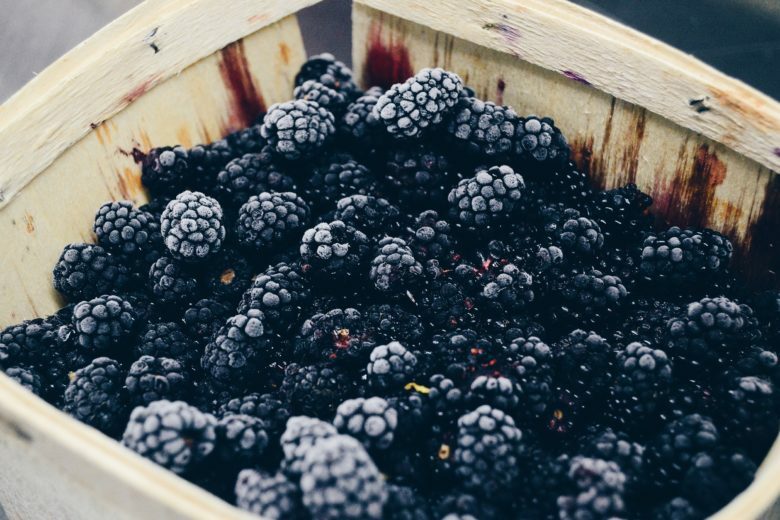 Sprinkle in washed blackberries (you may use any berry of choice–also works great for peaches!). Bake for 35-40 minutes until crust is golden-brown. Serve warm with vanilla ice cream. This looks great! 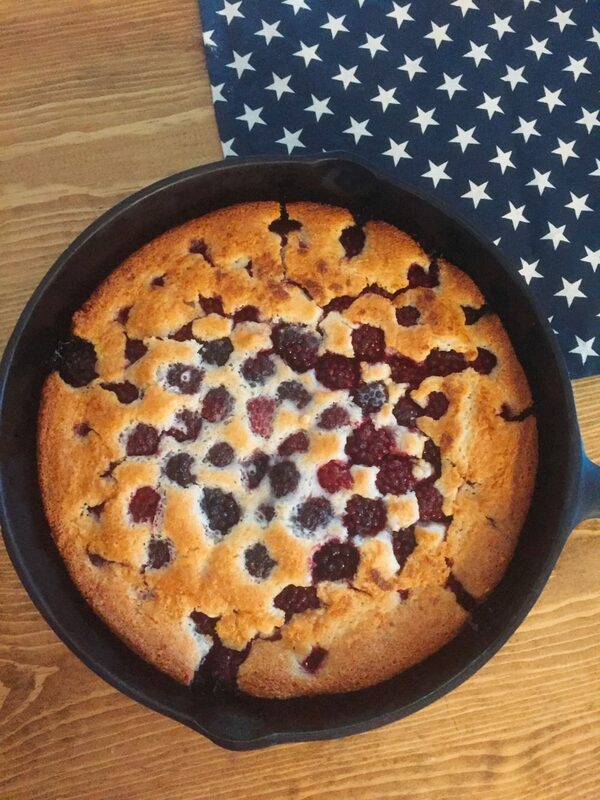 It’s been a few years since I made a blackberry cobbler – need to remedy that! This looks SO good. I’ll have to try this recipe out very soon! Mmmm I’ve never made cobbler before but this looks sooo good! I say that as I finish apple pie and icecream (YUM- Ultimate fav). I can’t wait to try this recipe! I love recipes like this that keep things simple, but to great effect. Cobbler is my favorite part of summer! This looks amazing! Oh my goodness, this looks so yummy! I love blackberries!